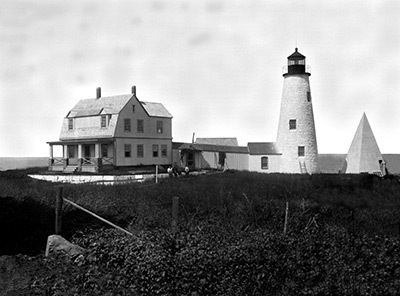 Keeper Orcutt served as keeper of Wood Island Light Station from 1886 until his death in 1905. The keeper referred to Sailor and him as “old comrades” and noted that the island would have been a lonely place without the dog. Neither Keeper Thomas Henry Orcutt or Sailor are mentioned by name in the newspaper story that appears below, but they are the dedicated duo that was alluded to by the writer. 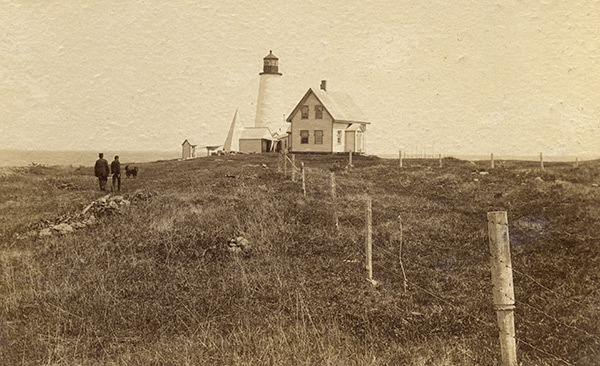 No doubt similar stories like this were told time and again about Sailor – the fog bell ringing dog whose place in Maine lighthouse history will forever endure! 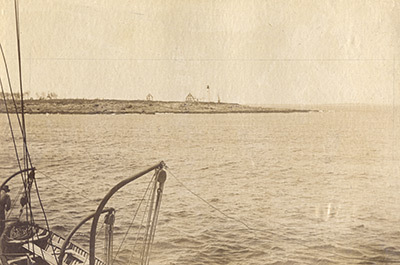 “The Dog Knew his Business…The steamer Forest Queen recently had an excursion party from Biddeford on board, and at the request of some of the excursionists, Captain Oliver ran out by Wood Island. As he passed the light he saluted it with the customary three whistles. 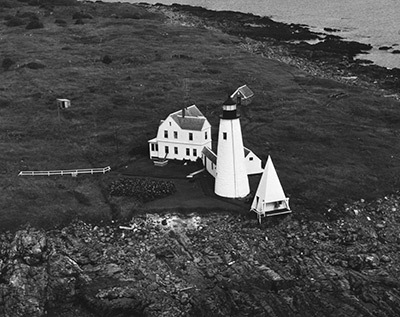 Scarcely had the echoes died away when a dog dashed out of the lighthouse and ran at full speed toward the fog bell. He was followed by a man. 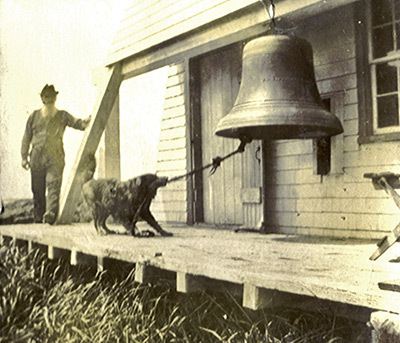 It is needless to say that the dog arrived at the bell first, and he immediately began to jump into the air as though trying to reach something.